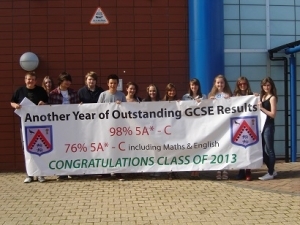 4th Highest Achieving School in Wales!!! Staff at The Maelor School in Penley are delighted that they have been confirmed as the 4th highest achieving school in Wales. Headteacher Mr Simon Ellis commented "We are over the moon with these results, the pupils worked incredibly hard and to be told we are one of the best five schools in Wales is a fantastic achievement"
76% of the pupils at the school achieved 5A*-C grades including English and Mathematics.